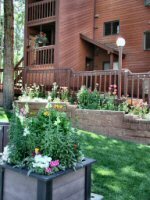 There are several advantages to your vacation ownership at Indian Peaks. Not only can you visit your home resort year after year, but you may also choose to participate in an exchange to somewhere new. • Several exchange companies are affiliated with Indian Peaks Resort. Click here for a comparison - be sure to call them for any updates in pricing, terms, and details. • Need to exchange your week for another? Schedule conflict? Colorado wedding in June? Just call us! • You can exchange with another owner at no charge. Contact us and we’ll post your request and if another owner agrees, just let us know who’s coming when. • We’ve really gone after the rentals this year with good success we’re building on. Owners get 60% of the net revenue. Call or email us if you’d like to know more or be included. • DO NOT LET YOUR WEEK SLIP BY UNUSED - CALL US FOR HELP! NEW INTERVAL RENTAL PROGRAM. 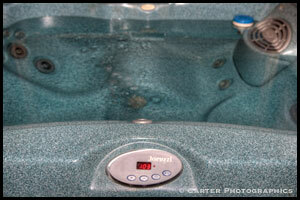 Owners will be able to post their own rental rates and screen their own rental guests. This is a great opportunity to rent a week at a discounted rate. Provide your guest with specific rules regarding your property. Particularly, NO pets of any kind are allowed, this is strictly enforced with a $250.00 fine per day until the pet has been removed from the unit. Click Here to Post Your Week for Rent. Click Here to See Units for Rent. To download PDF formatted documents, you will need Adobe Acrobat Reader. If you have any questions about taking full advantage of your vacation ownership, contact us, your interval owner representative at 970.363.7149 or by email at info@indianpeaks.org.